Still Time To Register for Cincinnati Children's Regional Simulation Conference September 22nd & 23rd! With simulation experts like Dr. Paul Phrampus and Dr. Jennifer Arnold speaking, this is a regional simulation event you don’t want to miss! Taking place next month September 22nd and 23rd, there is still plenty of time for you to register and receive CME and CEU credits from this innovative event. But HURRY as Cincinnati Children’s 2014 Regional Simulation Conference is rapidly approaching! Their conference will be taking place at Xavier University’s Cintas Center late September for two days (22nd/23rd) and will be targeting adult and pediatric multidisciplinary healthcare providers who are using or are interested in using simulation. The event will provide a forum for the exchange of simulation strategies and innovations to enhance education, patient safety, and quality improvement through plenary sessions, interactive workshops, research, expert panels, and podium presentations. The event hosts have told me they are thrilled to offer many varied and exciting sessions around using simulation in new and innovative ways including the infamous “SimWars” competition in which 3 teams from critical care units will be competing in a simulation competition designed for fun and best-practice learning objectives. Their keynote speaker Dr. Jennifer Arnold of TLC’s The Little Couple, as part of this conference. Dr. Arnold is a neonatologist at Texas Children’s hospital and is a well-known public figure and highly engaging and inspirational speaker.  Click here to visit the event page now! In this session the Linguistic Services and Diversity & Inclusion department will reveal a new era of training medical interpreters using simulation to provide safe and equitable environments and world-class experiences for Cincinnati Children’s patients and families. 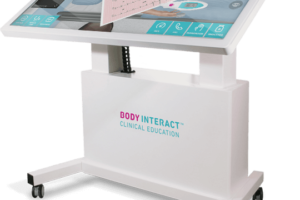 This presentation demonstrates how thinking outside the box can create fun and engaging simulation learning environments for the community at large, the faculty, the students and the workforce team members by creating an Intraprofessional Innovation Collaboratory House where human patient simulators reside. This session will provide a sampler expo of MCS [Mechanical Circulatory Support] simulations that tell the story of a patient from implant of a device through discharge. Simulations will include: CICU Management, Discharge Family Education, Emergency Room MCS Trauma Response and EMS Response. 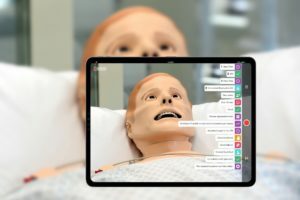 Actual, in situ, and in center: video assessment of multidisciplinary team performance during simulated and actual pediatric medical emergencies. 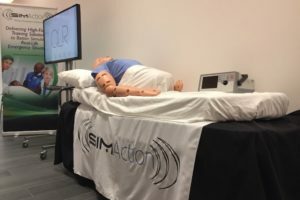 The participant will list, define and apply the critical elements of simulation-based education using the 12 steps for planning a simulation from the Society for Simulation in Healthcare. 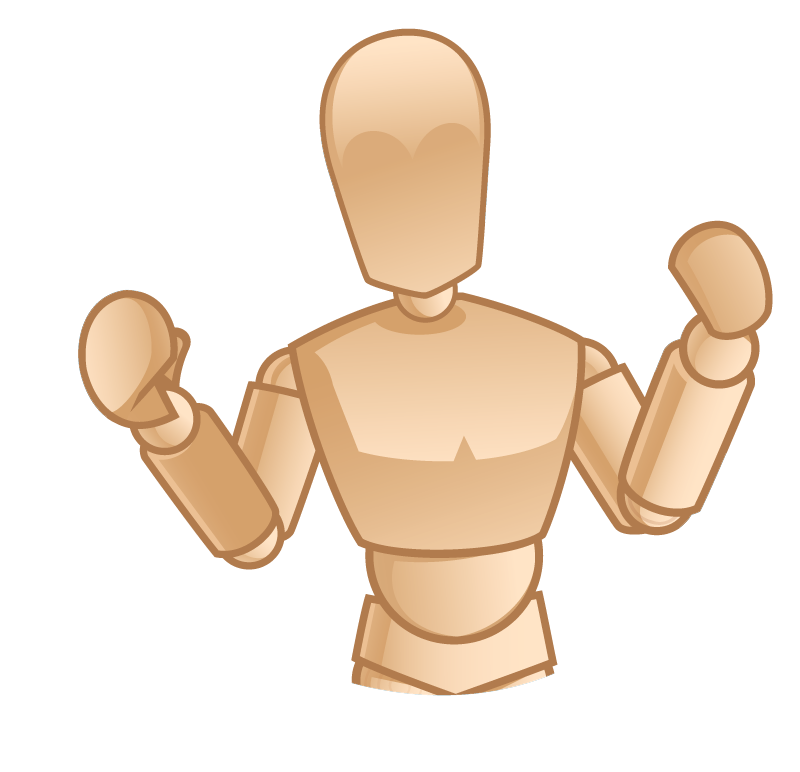 Participants will work collaboratively to create highly effective simulations. This session will focus on how Cincinnati Children’s Hospital and Medical Center incorporates a leadership hospital simulation as a means to develop strategic thinking, systems thinking and business and financial acumen. This session will present the key features involved in initiating an in situ simulation program for the newborn resuscitation and stabilization in Level I and II nurseries. This session will present how using various types of technology can enhance undergraduate and graduate students’ interactive experiences in an Intraprofessional Innovation Collaboratory simulation setting. 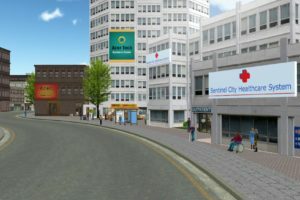 Participants will participate in an interactive video-based simulation where they will be asked to identify the patient problem through an audience response system, followed by a small group exercise, and reflection on application to individual practice needs. This presentation will discuss the simulation format, implementation into the baccalaureate program, objectives of the simulation, and evaluations of the simulation experience by students and nursing faculty. 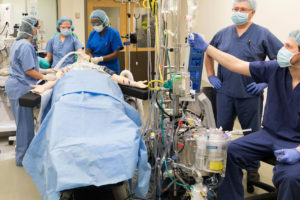 Witness the battle between three departments from Cincinnati Children’s Hospital and Medical Center: Trauma Services, Emergency Services/Medicine main campus, and Emergency Services/Medicine Liberty campus. 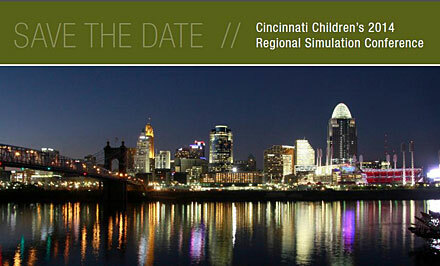 Learn more about Cincinnati Children’s Regional Simulation Conference Event!